What is Good: "The coolest birthday card ever!" 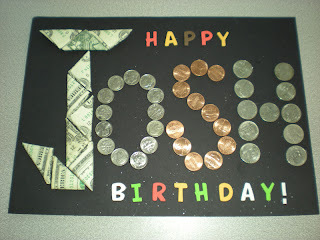 "The coolest birthday card ever!" The boys and I did some shopping for cousin Josh's birthday gift but we didn't find anything "cool" enough! 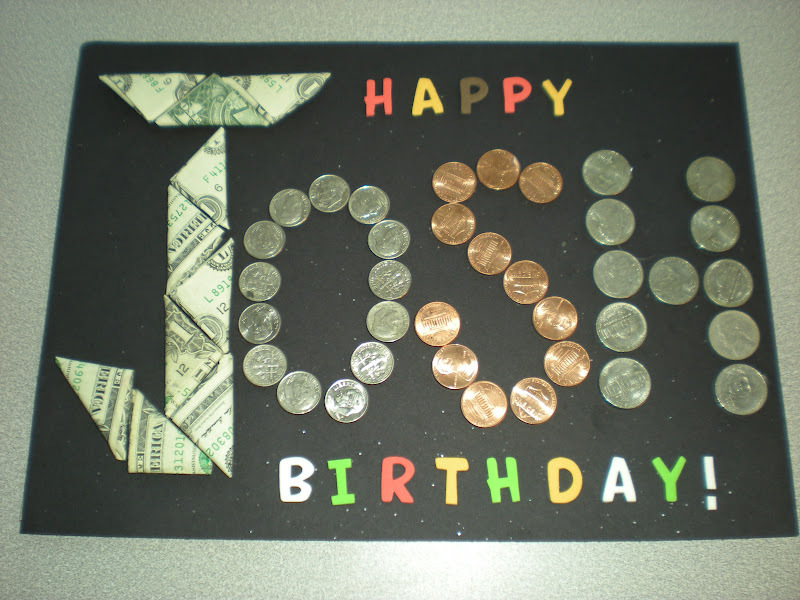 I suppose every 8 year old boy loves to get cash so I came up with a creative way to give it to him! The boys had a blast helping me out with making it. 1) We started with an 8 1/2" x 11" piece of cardboard (I cut out the bottom of an old box). 2) We glued a piece of black construction paper onto the cardboard. 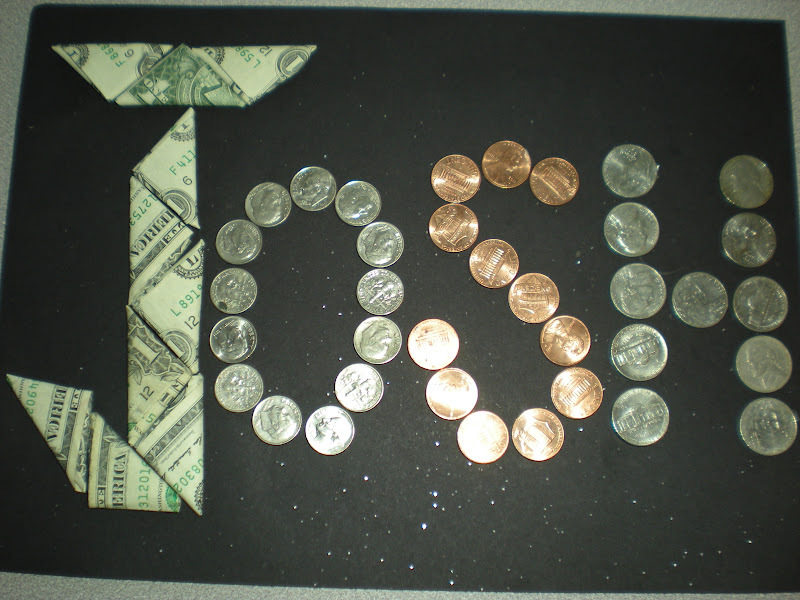 3) I folded some dollar bills and let the boys tape them on the paper to form our first letter "J". 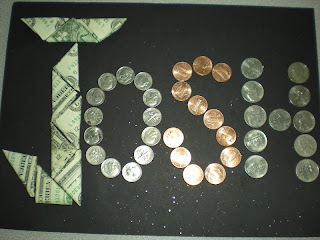 4) We taped on dimes, pennies, and nickels to complete the rest of his name. 5) The boys used our foam sticker letters to finish our card off with "Happy Birthday"
best part ... the longer your name, the more money you get, right? Great idea, I'm sure Christine would like this the most.